If you into sports or planning to pursue your love for a sport you love, it is important you choose the best sports shoes. With a number of shoe brands, the whole experience of choosing an effective shoe can be tricky and overwhelming at times. The most important gear to get started with any sport is the shoe. Whatever your skill or background is, most of us have memories of being part of a well-organized sport. This is one of the reasons most sportspersons look for a comfortable yet durable pair of shoes. But with the options available online, people either get confused or end up making the wrong choice. Let us in this article check out some of the best sports shoes under 5000. The shoes recommended are based on the user reviews and ratings and we have only added the best shoes from the best brands. 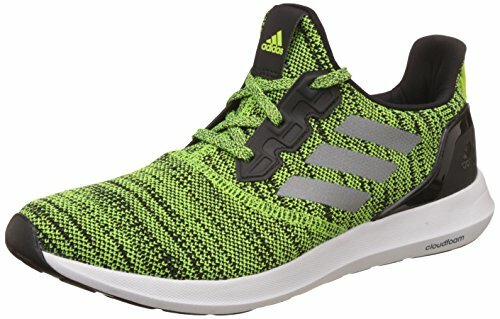 Can one sports shoe be used for other or multiple sports? How to determine the fit of the sports shoe? Do I need to choose expensive shoes? Are sports shoes available in different foot widths? If you love shoes that have a minimal design, the Nike Revolution 4 sports shoes for men are just perfect for you. The sports shoes are lightweight and include a single layer mesh that improves the breathability. The outsole of the shoe is quite unique and comes with rubber pods that are located under the ball of the feet and the front of the forefoot and the heel. These rubber pods make the shoes durable and offer good multi-surface traction. The shoes have a Phylon midsole and the material is lightweight and very responsive. This midsole delivers a cushioned ride and provides excellent comfort. Also, the upper of the shoes is very breathable due to the use of wide-knit mesh material. The shoes are also on par with the latest trend and flaunt their woven look proudly. The shoes are very comfortable too as the feet rest between the Phylon midsole and the soft upper. 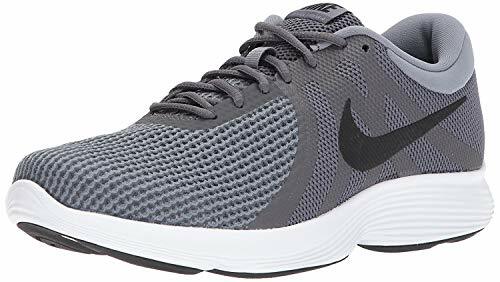 With a lace up closure and a padded footbed, the Nike Revolution 4 shoes are priced at less than INR 4000. However, the price can vary based on the size chosen. Shoes can lose their grip when used on slippery or wet surfaces. If you are into football and wish to prepare yourself for success, you need to wear the Evopower Vigor 4 Tt shoes. 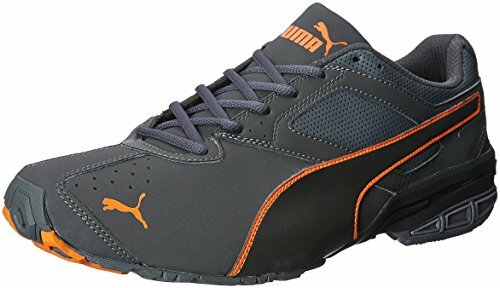 Manufactured by the world famous brand Puma, these are an entry range football shoes that are lightweight and durable. With a very sleek detailing, the shoes serve the purpose of both functionally and aesthetically. The upper of these shoes is made using a flexible synthetic and has Accufoam pods in the denser area and these increase precision. Foam is also added towards the front of the shoe near the toe area and this adds up to the cushion. The fit of the shoes is uniform but can be a little small for those with wider feet. The pods located on the upper of the shoes have a unique ping factor that helps players get some pretty good shots. As the upper is made using a synthetic material, the shoes might not be breathable but the Adap-Lite technology used helps the feet to bend well, providing a “barefoot kicking motion”. The shoes are ideal for people who are into sports like soccer/football as it improves both the kicking velocity and its accuracy. They also included with a spandex sock and the GSF outline technology, all of which make the feet comfortable. The GripTex technology used helps with ball control. The shoes are stable and are of optimum weight. A versatile and a multi-purpose shoe is what you need if you are into a variety of sports activities. The Men’s Zeta shoes from Adidas cannot be labeled under one category, but these can ideally replace your existing snickers. But, remember that these shoes are not ideal for long-distance running. The outsole of these shoes is made using quality rubber, which is very resistant against normal wear and tear. The outsole is also water resistant and can be used in a wet climate without hassles. The outsole has a thread pattern and this provides traction and the needed grip. The material used for the midsole is soft and also adapts well to various climatic temperatures. This keeps your feet comfortable too. The running shoes provide excellent comfort and cushioning to the feet as they have a “full –length” Cloudfoam. Well, the upper of these shoes are made of stretch mesh. The material used provides flexibility. The mesh also has perforations that allow good air flow. The inner lining of the shoe has a soft material and hence users can wear these even without socks. The upper does not have any pressure points and this provides an excellent fit. The shoes look lighter but are slightly on the heavier side. The shoes look stylish and are durable at the same time. The shoes also have a raised heel counter that packs your foot in place and this avoids any slips. For those who love to play tennis, the Power Cushion Lumio Shtluex is the perfect pair of shoe. The shoe has a soft fitting and works well for all kinds of players who play on different courts. The upper of the shoe is made of PU material and the midsole using power cushion and high-quality EVA. The outsole has an endurance rubber that absorbs the shocks and also reverses the impact in the form of energy. This helps the player to transfer smoothly into the next movement. The construction of these shoes is better when compared to urethane as the Power Cushion provides a very good shock absorbing power. Given all these features, the shoes are light in weight and the users can easily feel the lightness as well as the softness of these shoes. Also, due to this, there is even less muscle fatigue even after playing for hours. The shoes have a round sole and this is specially designed for all-around support and to provide easy and smooth footwork. Most of the tennis shoes are thin and have very slim soles and so little padding. But Power Cushion Lumio Shtluex is flexible and even pliable. Most of the design specs of these shoes provide more agility to the players. The round sole helps players to execute the lateral movements with ease and transfer maximum energy in every game. The shoes have a unique shape that fits the feet well but also provides enough space for the movement of the toes. The toe assist shape provides enough space to move firmly when playing and this, in turn, increases the grip when stopping or when accelerating. The Power Cushion Lumio Shtluex use “shaped shoe technology” which makes it easy for a player in the court. The midfoot provides excellent support and aids in lateral movement. The shoes come from a new brand altogether which makes users a little hesitant to buy. If you have been looking for the best shoes to play a perfect game of basketball, the search ends right here. A number of users have found these shoes to be comfortable and they work great when you know you will be on your feet for many hours. The shoes fit perfectly and stay true to the size mentioned. This means you can order these online too without a second thought. The stylish appeal is another factor that has attracted a number of users. The Nike Court Borough Mid has a unique design that makes it easy to match these with any of your casual outfits as well. These are available in a number of colors and are filled with many attributes too. The lace-up shoe comes with a breathable upper and this keeps your feet dry, especially using wet or warm weather. The shoes are light in weight and the mid-top silhouette provides good support to the ankle and the heel. The outsole provides good traction and this is what makes it a must wear for any of your sports activities. 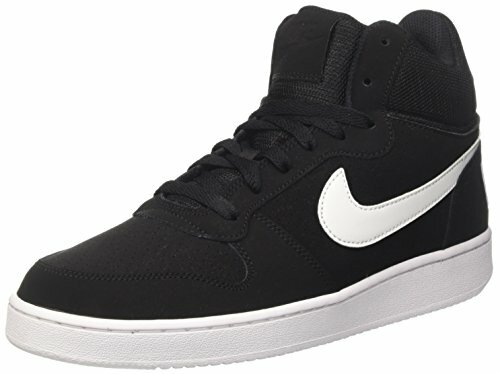 The Nike Court Borough Mid is one shoe that combines a retro design with comfort with ease to match the footwear standards of the new generation. There have also been issues with the size running a half inch bigger for few users. 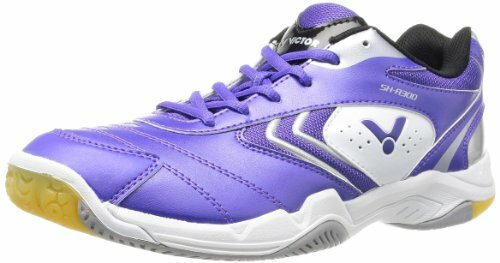 Victor is a well-known brand that is into the making of economical badminton shoes. Newly launched from Victor are the All Round Series New AS-3W-AM and these shoes have the technologies for a perfect fit and stability. Most of the players are bound to injure themselves when jumping and this occurs when the shoes do not have shock absorption. The All Round Series has a carbon fiber stabilizer which provides balance and the blue foam pad located at the heel section prevents injuries by reducing the shock. The toe box is wide and hence these are ideal for players who have wide feet. These are mid-range shoes that have a wide cut, provide great heel cushioning. Even the rubber outsole of the shoes is anti-slip. The shoes provide “mid-foot stabilization” along with abrasion protection for the toes. The shoes are available in five different color combinations, most of which are a perfect match of your outfits. Victor uses technology to provide comfort and stability to all their customers. The center of the shoe has a round shape and is surrounded by a triangular pattern. Called as the radiation pattern, it provides additional grip to the users during vertical or lateral movements on the court. 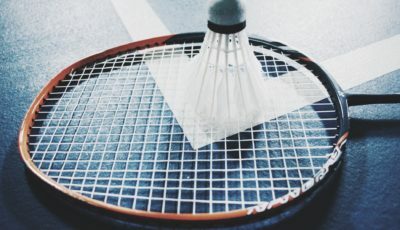 There is a limp pattern which is evenly distributed that provides more grip and helps the players to cope with the problems that arise due to asterisk steps. The shoes use a material called EnergyMax that has the ability to absorb high shock and is very elastic. This is what imparts durability and strength to the shoes. Use of this material reduces any momentum loss and also helps redirect the momentum towards the next move. A number of people follow a strict fitness regime today to remain healthy. Though fitness bands are still in a rage, fitness footwear is something you need. With brands trying to launch the best, it gets hard to find the best cross trainer shoes. The latest from the American brand, Under Armour are the Multisport training shoes which are very impressive. The shoes are designed by keeping the rigorous training in mind and the design itself stands out from the rest. The shoes have a robust build but weigh light. The materials used for the upper are smooth and are very comfortable. There is a layer of TPU around the shoe’s forefoot and the heel area and this adds more stability. Even the sock liner is made using 4D foam which works similar to the way memory foam works for the bed. The shoes have a rubber outsole and a tread mesh and the forefoot area has extended grooves – all of which provide extra grip. There are various color options available and the blue and fiery red happens to the favorite combination of many. These multisport shoes are perfect for exercises or routines that require movement on hard surfaces. The shoes have it all – a good build excellent grip and comfort. 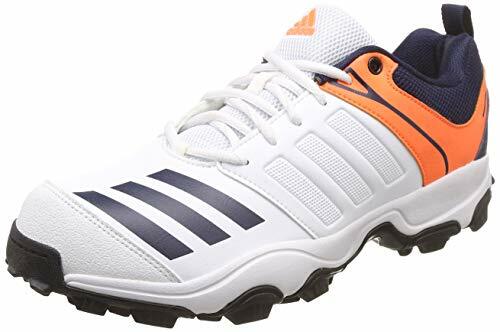 If you are looking for a pair of budget-friendly shoes, that are of excellent quality and will not let you down on the field, Adidas Men’s Cricket shoes are something you need. Available in three amazing colors, the sole of the shoe is made using ethylene vinyl acetate, which is what makes them durable and fit for those long hours on a cricket field. The shoes are perfect for those who love to play the game, in their own unique way. They are inspired from the earlier series and come with synthetic leather on the upper, which allows for good ventilation. The shoes are wide fit and come with TPU molded striped which ensure good support and look stylish as well. The midsole is made of an injection EVA and is lightweight. The rubber outsole provides the traction needed and the feature TRAXION keeps the feet fit and stable even during wet weather conditions. The shoes also look stylish and have the Adidas logo on the tongue and on the back of the shoe. 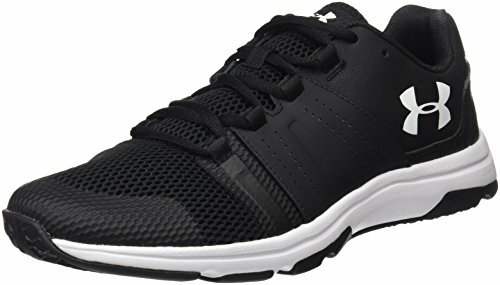 The Adidas 22 Yards Trainer Cricket Shoes are perfect for those who have just started out playing the same. These are available at a great price online and this is what makes it a must buy. If you are into adventurous activities like trekking or hiking, you must have a perfect pair of shoes that help you cross various terrains with ease. The leather shoes look perfectly stylish and are available in Rust color, which makes it a perfect match with any of the casual outfits you wear. The lace-up shoes have a high quality padded upper and the footbed too is durable and keeps you comfortable during the trek or the hike. The sole of the shoes is made using PU which not only makes them durable but also provides excellent grip during your adventure. The shoes are flexible and provide an excellent fit, thanks to the lace-up closure. The leather has a punch detailing and includes metal oval shaped eyelets, all of which add to its aesthetic appeal. These would indeed be one of your best picks for sure! 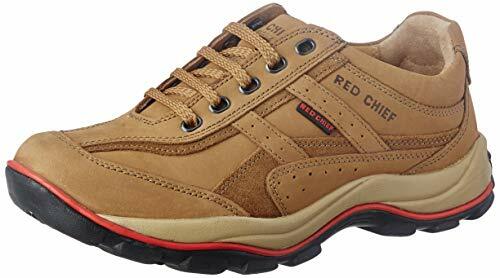 This is one genuine Red Chief product you certainly can’t give a miss. A hot favorite of many, Puma Tazon 6 flaunts its sleek design with pride. Known to be a very stylish sports shoe, Puma Tazon 6 is one great shoe that can also dual as your daily wear sneaker or an athletic shoe. The shoe has a synthetic upper with an EVA cushion that provides good absorption and comfort. There is a midfoot saddle that provides a secure fit. The mesh on the upper ensures good airflow and breathability. The shoes come in dual tone color combinations, which look striking with the logo of Puma placed on the tongue. The shoe is very light in weight and has a rubber sole that provides great traction. The shoes have patterned EVA foam which provides a great cushion from shock. One of the best features of the shoes is the use of EcoOrthoLite sock liner which ensures good fit and aids in better functioning of the feet. With a laced closure and medium price, these are a must have for any person aiming at higher performance. 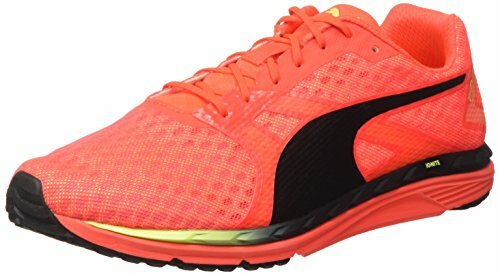 The Speed 300 Ignite from Puma is an excellent pair of shoes that provide power as well as speed to its user. The upper of these shoe boast of excellent design and allows a good flow of air to keep the feet dry and fresh. These shoes can be used by those who work out every day as it provides amazing energy return. This way you can keep going for long without any fatigue. The shoes are comfortable and look great too. The upper of these shoes have a seamless design and also provide a snug fit so that the feet do not slide to the sides. This feature is what you need when you have a lot of foot movement on the ground or court. The midsole is made using a dual layer of Ignite foam which is quite responsive. The outsole has Evertrack injection blown rubber, and this provides excellent grip and increases the life of the shoes. The toe box too comes with a propulsion zone to increase the speed and the impact. The Speed 300 Ignite is one of the most affordable shoes from Puma and these are great for beginners and professionals alike. 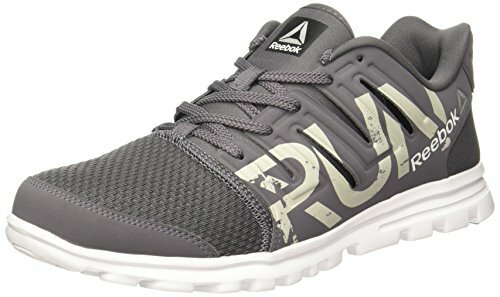 The Men’s Ultra Speed shoes come from one of the most reputed brands, Reebok. The shoes are the best athletic shoes available and are quite easy on the pocket too. Men’s ultra speed comes with a padded collar that helps with cushioning and this, in turn, increases comfort when being trained for sports or even when running. The shoes are lightweight and are power packed. The shoes have a mesh on the upper which create a good ventilation system. The rubber outsole makes them durable and fit to move on any kind of terrain. The shoes are durable and will last for more than a few sports sessions for sure. 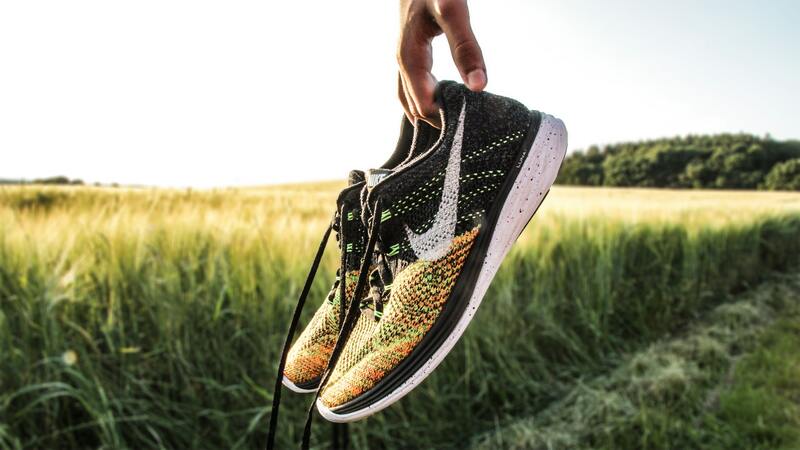 If you are under a budget and are looking to buy a perfect pair of sports shoes, there are certain factors you need to look into. It is important to pick the shoes that have the capacity as well as the style. Let’s have a look at the features that will help you pick the best shoes so that you love your sport even more. Whatever sport you choose, the shoes you wear need to provide the needed breathability. Shoes that have a breathable upper ensure good airflow and this prevents the overheating of the feet during the activity. While some sports events only last for a few hours, others might go on for a whole day. So, there might be situations where you need to spend a good number of hours on your feet, wearing these shoes. The best sports shoes come with perforations that offer ventilation. Good brands understand the importance of this and hence use synthetic materials combined with mesh so that the feet remain cool and you get the stability and support needed. Choose the shoes that provide more breathability as your feet remain fresh and you get to focus only on the game. While the features offered by a sports shoe are important, so is the level of comfort it provides. You can pick an expensive and feature rich sports shoe, but cannot win the game if you feel uncomfortable wearing it. Most of the sports shoes include padding near the midsole, but some used for tennis or golf are naturally flatter. Also, shoes used for sports like football or soccer need to provide good arch support. EVA cushioned midsoles are also good and those with a padded tongue or collar will increase the comfort and decreases abrasion. Also, shoes with a customizable lacing system also streamline the comfort levels as you can easily tighten or loosen them with ease. The fit of any sports shoe needs to be perfect as it directly affects the performance. An ill-fitting shoe can distract or irritate you in the middle of the game and can also cause an injury in worst cases. The athletics who have wide feet or narrow feet need to try shoes a size bigger or smaller to improve the fit. Also, the fit depends on the materials used, so it helps to pay attention to such details. Some shoes are made using expandable materials that expand and even contract based on the users’ movements. You can use the shoes that come with a memory foam midsole as they snug the feet proving a perfect fit. If the sports you play involve fields or uneven terrain, you need to look for shoes that are good with traction and tread. For sports like football or soccer, you need to choose shoes that have cleats with good traction and the tread for this can vary from brand to brand. Shoes that enable free movement of the feet are the ones you need to choose. Football – When choosing the ideal shoes for football, it is important to consider the shoes that have cleats that penetrate into the ground to provide good traction. Some shoes come with the cleat studs that are molded onto the shoe or one can also choose from removable cleats. The cleats also need to have a proper insole cushion to prevent injuries that are common with players who play football due to pile-ups or very quick movements. Weightlifting – While you can use regular sneakers for regular weightlifting, professionals to seek performance need to choose a specialized shoe. Again it is important to note the difference between the shoes that are used for squatting and deadlifting. Those used for squatting have high heel when compared to deadlifting but both of them have a rigid sole. Weightlifting shoes have less padding and a flat sole as your feet are in good contact with the ground and ensure proper stability. The weightlifting shoes need to provide good grip and keep slippage to a minimum. Soccer – Shoes used for soccer are much similar to that of football but vary slightly based on the position the players are placed at. For example, a goalie might need different shoes than a midfielder. The cleats for soccer shoes need to allow free movement of the feet but they also need to have a good construction on their uppers. The cleats need to penetrate into the ground and also need to be designed in a way to handle the ball well when the foot is placed on it. Cycling – The shoes that are to be picked for cycling need to depend on the type of cycling you perform. If you are into BMX riding, you need shoes that have a sticky sole as the shoes need to stay on the pedals and not slip off. If you are into road cycling, the shoes need to a rigid base and also have cleats that clip into the cycle pedals. The rigid sole will increase the transfer of power to the pedals from the legs and help minimize shoe flexion. Tennis – Tennis shoes need to provide good lateral support for both front and side movements. As the movements in tennis are quick, the shoes need to have a firm upper and side. The sole need to allow a responsive impact as the players often changes directions all of a sudden. Tennis shoes also need to have a shock absorbing feature as there are constantly running and planting of the feet. Golf – Golf shoes are always constructed by using physics as the shoes need to create the best environment, perfect for the swing. Shoes need to have very minimal heel slip as it ensures stability and has minimum cleans just to improve traction. Most of the golf shoes also have well-cushioned insole and midsole for additional comfort. Basketball – Basketball shoes can vary from brand to brand and one can choose these based on individual needs. If you are looking for shoes that provide ankle support, choose the ones that have a higher top and those who love to enjoy a free movement can opt for the low top shoes. Like tennis shoes, basketball shoes also need lateral support on the upper and the side. The rubber soles of basketball shoes are much denser as players spend a lot of time on the field and the sport also involves running. Running – Running shoes need to be chosen based on the surface you will be running on. Track shoes made for competitions are lightweight and have spikes that provide the needed traction. The shoes used for marathons have plush cushioning that provide comfort to the feet and also increase the running gait. As runners do not need lateral support, most of the running shoes have a mesh on the upper and are very breathable. The shoes do not have support on the sides but are constructed in a way to allow the feet to flatten or to swell during the activity. Certain sports shoes like cross trainers can also be used for various recreational sports like soccer or hockey or weightlifting. But many professional athletes always prefer to use a specific sports shoe that is made for the sport they play. While soccer and football cleat are much similar, they are not ideal for baseball. 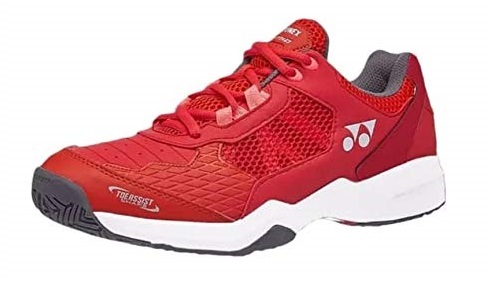 Likewise, the shoes made for weightlifting cannot be used for sports like tennis but at the same time, a tennis shoe can be used for weightlifting. The kind of shoe you choose depends entirely on your skill and your preference. But, experts always suggest choosing the shoe that is made for the event. The sports shoes need to fit you perfectly and they need to act as your second skin. This is important as you cannot lose momentum due to an ill-fitting shoe. For example, a track shoe has to be lightweight and needs to have a number of features but needs to snug your feet well. Weight lifting shoes are heavy but they provide a perfect fit so that the heel does not slide out. Likewise, a cycling shoe needs to fit well or else your feet get irritated. A sports shoe needs to fit you well as it helps you excel. It is not always important to opt for shoes that are expensive. A number of brands have manufactured sports shoes that are available within the budget and have the features needed. But some shoes are expensive as they are constructed in a unique way, using different techniques and quality material. So, you need to check the features, the brand and of course the reviews before you go ahead with the purchase. While the sports shoes are not available in different foot widths, a number of these are wider near the toe box. The widths can differ based on the brand. Most of the soccer or football shoes are taper, and cycling shoes tend to be a little narrow. One of the best ways to pick a shoe is to try them on before you buy. Most of the sports shoes are durable and often last a year. But, again it depends on how and for what sport you use them. If you practice aggressively, the sports shoes might need a replacement within just a season. Now that we learned about how to choose a sports shoe and answered a few common questions, it is time you get online and make your pick from the best sports shoes under 5000 available online. Well, do not forget to check the list of the best shoes we recommended.